DepositFix helps you integrate your HubSpot with Stripe and PayPal allowing you to accept payments through HubSpot. Click, click, done. 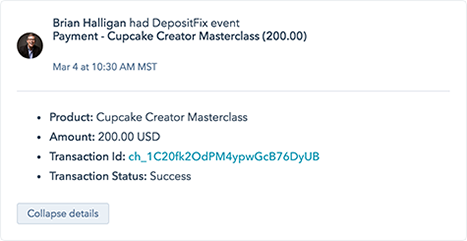 That's how quick and easy it is to integrate your Stripe account with HubSpot using DepositFix. Your revenue is safe with us. Each month, we secure $1,000,000+ in transactions from some of most respected companies. 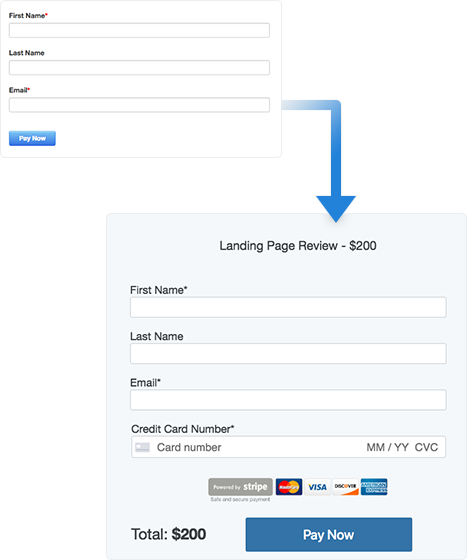 DepositFix dynamically adds payment fields to your HubSpot forms. 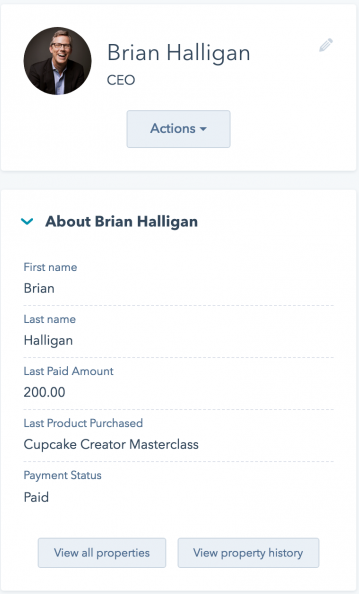 Payment information goes to Stripe and other user data is sent to HubSpot at a single click. DepositFix adds new contact fields to HubSpot, so you can search and segment your contacts by a product they purchased, sales date, transaction amount and others. 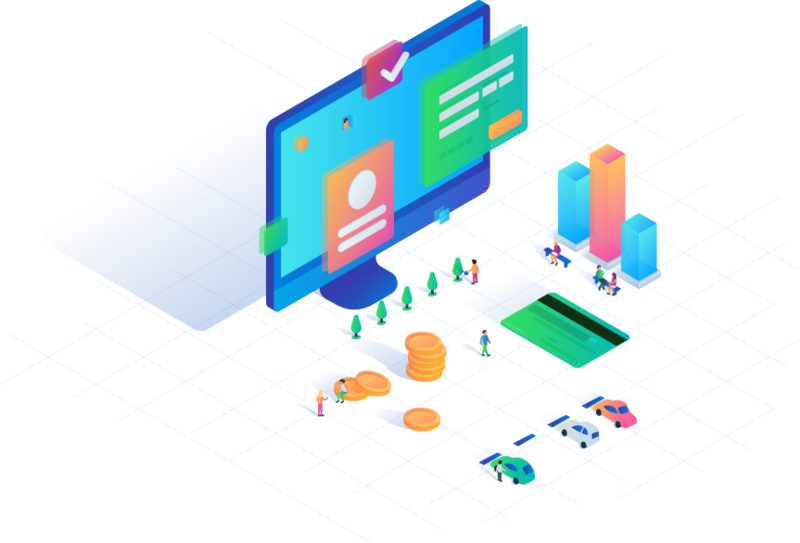 Stay informed about any payment events with the help of automatic timeline updates. Send personalized emails after the payment: receipts, cross-sells/upsells, post-purchase follow ups, product review requests, etc. 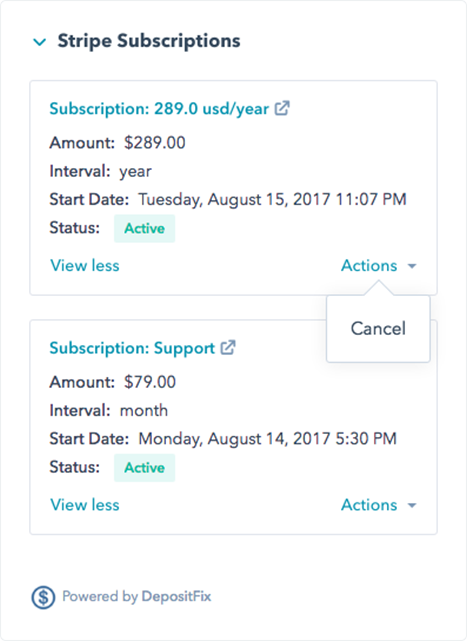 Stripe CRM extension shows all past payments and subscriptions from Stripe for a relevant contact. It's easy to refund transactions and cancel payments without leaving HubSpot CRM. 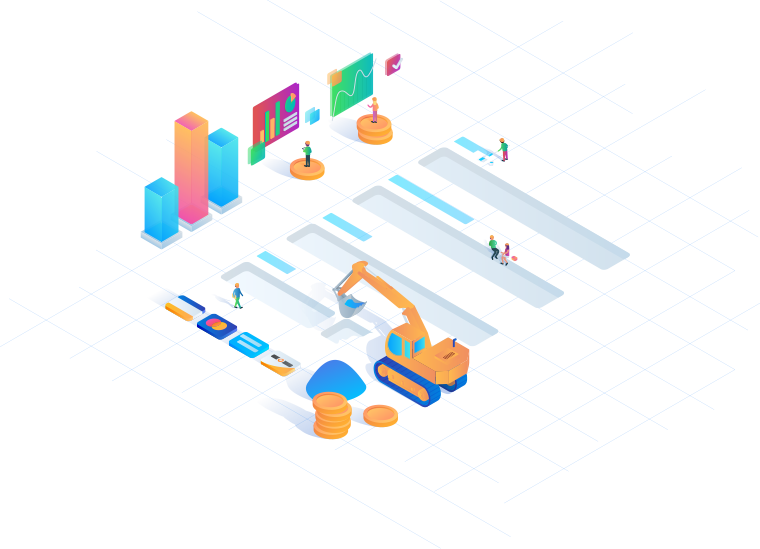 Stripe Subscriptions, dynamic amount or recurring plan specified by your customers.